Note that the date of the article was made while fires still raged. Also, note that the article was published on the front page of the Herald, indicating that the editor was unusually highly supportive of it. Normally, the Herald’s ‘Opinion and Letter’s‘ articles are printed way back around page 12. Clearly, the article’s emotive tone expresses anger, frustration, retaliation and spiteful provocation. Perhaps this is understandable given the scale of the disaster and public shock, disbelief and for many, the personal loss. People react in their own way to tragedy. Devine’s article upset many and presumably it was intended to in order to unseat entrenched community complacency about Australia’s bushfire management generally. If so I agree with her motive, but not her method. The Australian Press Council considered the article’s lead paragraphs as ‘dogmatic’ and ‘confrontational’. But the complainants asserted that the article breached a number of Press Council principles. Yet the Press Council’s principles or journalism are vague and advocate the rights of journalists rather than prescribing responsibilities. The principles include noble motherhood ideals such as being accurate, fair and balanced, not being misleading, acting in the public interest and not being biased against minority groups. So then perhaps the complainants were misguided and it is not surprising that the Press Council found that publicising the article didn’t breach any of these principles. Devine was accused of incitement in her article, which is a fair interpretation. In the press at the time, local anger in Gippsland was palpable and vigilante feeling clearly was at breaking point. But it was targeted at the arsonists. No-one rationally can blame the conservation movement and its ecological principles for the Victorian Bushfires. 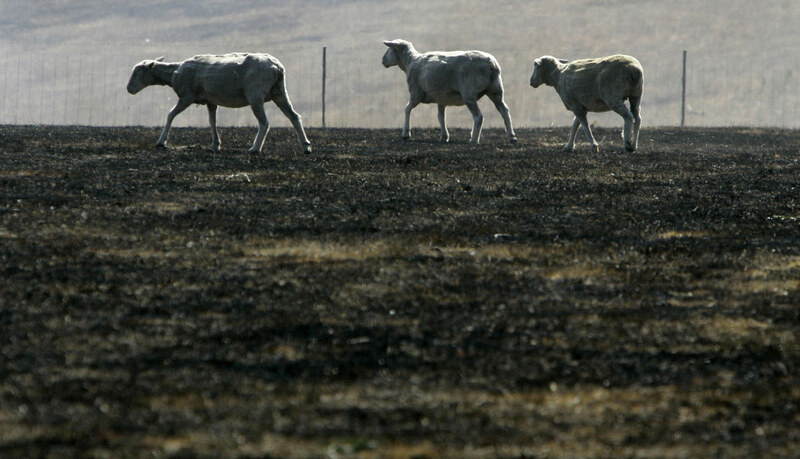 The bush and its creatures were innocent victims of the fires, just like people, livestock and houses. Many tend to forget this in the wake of such enormous tragedy. But one must blame the arsonists. Yet it wasn’t apparently just arsonists that caused the ignitions and it is the task of Brumby’s Royal Commission to investigate and find out the causes of all the ignitions. However, thereafter, the real problem solving should start, but I doubt Brumby will have the will and instead will want to close the political door on the bushfire tragedy – just like the bushfire investigations of the past and interstate. But let’s turn more importantly to the media incitement before the bushfires! “It’s just as bad a day as you can imagine and on top of that the state is just tinder-dry. People need to exercise real common sense tomorrow”. To serial dormant bush arsonists and to would be arsonists, this frenzied media excitement about such pending doom surely would have been been read by arsonists and I suggest directly incited the bush arson. Yet at the time there was no complaining or realisation of this. If bush arsonists are found to have been the key causes of the ignitons and indeed of the most catestrophic firestorms that burt alive people for instance Marysville and Kinglake, then the investigation must focus on the root cause of the arsonist motivations. I argue that media arousal through its sensationalising of the bushfire risk and its portrayal of the bushfire threat is directly responsible and accountable for actual bush arson. Let’s see what the Royal Commission concludes. Getting back to the subject of press responsibility, let’s look at where the Press Council actually prescribes reporting restrictions on journalists. Take the subject of media reporting of suicide. So on the sensitive topic of suicide, the Press Council is quite prescriptive, moreso than in its broader principles for journalists rights. Serious thought needs to be given by all levels of government and by the Press Council as the media industry’s representative body to the reporting of bushfire risks. Just as links can be drawn between the media portrayal of suicide and actual suicide, causal links can be drawn between the media portrayal of bushfire risk and bush arson arousal. This is a matter for criminal psychology. Media sensationalising of bushfire risk and of bush arson is known to incite bush arson and copy-cat bush arson. This is a little known and neglected form of social deviant behaviour, yet it has become increasingly prevalent and deadly. There is an urgent need for national level investment into bush arson criminology research and investigations. Media rights and responsibility for reporting bushfires play a critical role, perhaps more than many of us realise. Thank you for highlighting this perennial problem. 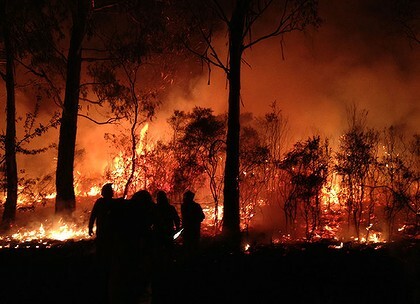 The Australian Institute of Criminology reported last month that half of Australian bushfires are deliberately lit. Bushfire research needs to go further to evaluate whether in fact of the most damaging most are deliberately lit. Test: If one excluded arson ignitions and their related spotover fires (between 29 Jan at Delburn to 8 Feb) would the firestorms have occurred? Assuming the answer is no, then clearly arson must be Australia’s key focus in combating the impacts of bushfire. Unlike the other two causes of bushfire, (lightning and accident) which are random, bush arson targets the worst conditions, upwind of a specific target and often involving multiple ignitions. The forthcoming Royal Commission into the Victorian Bushfires of 2009 risks concluding similar theme recommendations as the 2004 COAG Enquiry into the 2003 Canberra Firestorm, which itself repeated those of many previous bushfire enquiries. The implementation of any recommendations requires budget, timeframe and an independent federal watchdog accountable to the public. I will be analysing its terms of reference. Aside from serious resourcing of bush fire fighting (nationalising it, building approvals, building codes, etc), the key systemic problem is the cultural disconnect between bushfire research and fire fighting practice. Criminal arson investigation needs to be a permanent and dedicated arm of bushfire management, properly resourced with primary data collected from all Australia and overseas using the best criminal psychologists and with a proactive mandate. 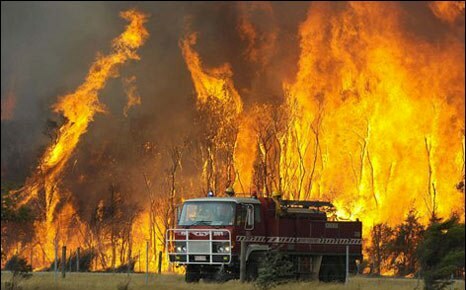 In NSW, the government set up Strike Force Tronto to investigate serial bush arsonist after the Christmas 2001 bushfires. Then the government got complacent, other priorities emerged and it was disbanded in 2005. But following a series of arson bushfires in 2006 (with houses lost in (Picton and Cattai) the force was reinstated on 26 Sep 06 (Daily Telegraph p1). Reactive sporadic resourcing of bush arson investigation clearly isn’t effective. To seriously address the main cause of deadly bushfires, a national organisation needs to be permanently established and perpetually funded to focus on criminal investigation into bush arson/pyroterrorism with a mandate to recommend deterrent policies and practices across Australian bushfire fighting as well as the media. – which was a quote from of all people the Victorian Premier made to the general public the day prior. Just like the media policy of not reporting suicides due it being known to encourage copy cats, so too media reporting of heatwaves and of extreme bushfire conditions needs to be tempered to avoid inciting dormant serial arsonists. ‘It’s a summer ritual: fire fighters across Australia battling hundreds of bushfires, putting themselves at risk to save other people’s lives and property. But these men and women are confronting dangers they should never have to face. While most fires, like the recent Canberra inferno, are ignited by lightning strikes or by stray sparks, investigators say a growing proportion of fires are being deliberately lit – by serial arsonists playing havoc in the bush. As Australia tallies the cost of one of its worst bushfire seasons, Four Corners looks at the devastation that firebugs wreak on the landscape and the fear they generate in vulnerable communities. Reporter Stephen McDonell focuses on two communities where a firebug has been at work. In one case the arsonist has been caught and jailed; in the other the offender remains at large, apparently still living among anxious neighbours who suspect his every move. STEPHEN MCDONELL: It’s been suggested by some people there should be a full time arson squad in NSW, do you think that we’re getting to the stage where that’s what we need? ASSISTANT COMMISSIONER JOHN LAYCOCK: Well there is at the moment. With the establishment of Strike Force Tronto last year, that will be ongoing on a needs basis and we saw very quickly in October this year how quickly that Task Force got up and running. STEPHEN MCDONELL: You don’t think though there’s a need for developing some expertise in the area, have a team specifically designed just to look at arson? JOHN LAYCOCK: Well, we have that now with Strike Force Tronto and in addition to the permanent team, we’re also training up investigators right across the state to look at the fire investigations across the board so we’re fairly well on top of that now. STEPHEN MCDONELL: Can you just tell us the thinking that’s led to you having a team that is assembled as the need arises rather than having a full time squad? JOHN LAYCOCK: Look Strike Force Tronto is virtually full time on a needs basis. We started off in 2001 with the large volume of fires in the state. It took a little time to get that up and running but that expertise and the database and the skill they’ve learnt from that has now flowed to, very quickly, starting up (Strike Force) Tronto II. So, whilst ever the actual need is there, the strike force will be there to assist. In addition to that, you’d normally find that between bushfires or wild fires there’s a three or four year gap. We have 94, 97, then 2001, on this occasion we’ve had two years in a row so the need this year is unusual to say the least. STEPHEN MCDONELL: If you were asked if bushfire arson is getting worse, what would you say to that? JOHN LAYCOCK: No I don’t think so. I think the reporting of it has improved. All our local area commands now are on the scene as soon as it occurs, they’re investigating the fires straight away. In the past that might not have always been the case. With Strike Force Tronto up and running, all fires are investigated and eliminated: whether it’s accidental or lightning or what have you and others are put aside for further investigation. STEPHEN MCDONELL: So you don’t think we’re getting more bushfire arson? JOHN LAYCOCK: I think the community’s become more up to date and aware of arsonists being involved. The majority of our people apprehended are done by information from the public and, in a lot of cases, actually apprehended by people from the community and people are just sick and tired of people being involved lighting fires so they’re doing something about it which is great. STEPHEN MCDONELL: So, in other words, are you saying that while the statistics might bear out something of an increase, it’s really just that more people are being caught? JOHN LAYCOCK: That’s one interpretation. In addition to that: our scientific skills, our forensic skills – with both the Rural Fire Service and the NSW Fire Brigade, with our own forensic people – have enhanced tremendously. Technology has increased. There’s a lot more out there that we can use, we can tap into, and plus the skill level of our people on all fronts has also increased. STEPHEN MCDONELL: Just on the question of your ability to investigate bushfires, what would you say is the area that has come on the most, that is changing the fastest and is enabling you to catch people? JOHN LAYCOCK: Look without doubt the technology, our forensics, the scientific people, our research people. We tap into overseas data; we tap into overseas experts. Our own local people here are well down the road to being able to fully investigate a fire, to track it from A to Z, with help from the community. Our crime scene investigation has enhanced tremendously and it’s improving all the time. There’s satellite inventory; there’s aerial photography; there’s video links; there’s a whole raft of things we can tap into now. STEPHEN MCDONELL: I’ve seen some statistics that show that while the offending appears to be going up, the clear up rate remains static, what would you attribute that to? JOHN LAYCOCK: Probably wouldn’t agree with that entirely and I think I can play with figures with the best of them. For example, in our 2001 fires, there were 22 people charged straight out with arson. There was another 130, 140 odd processed for various breaches, minor breaches of the Rural Fires Act and other Acts of parliament. None of those persons have re-offended again this year to our knowledge. Now most arsonists I think you’d have to agree are not sort of rocket scientists and one would expect that, if they were continuing to offend, they would be apprehended. That hasn’t occurred. So I don’t think the clear up rate has decreased per se. I think the instance of reporting and investigation activity has increased. STEPHEN MCDONELL: What do you think that those statistics tell us about the impact that catching people has on their likelihood of them re-offending when it comes to bushfire arson? JOHN LAYCOCK: Look, again, with the number of people we’ve processed – from those that went to gaol, to those who were fined, cautioned or were conferenced – none of those people have re-offended to our knowledge, which indicates whatever process did take place, whether it be gaol or a caution or bond or what have you, has worked in that case. In addition to that, all persons processed have been, their details have been given to our our local area command so at the first sign of an investigation being required, those people would have their names up as a possible suspect to get looked at so the heat is on if I can use that phrase for those people locally in the first instance. STEPHEN MCDONELL: We’ve spoken to one person who suggested that part of the problem with catching people when it comes to bushfire arson is that crime scene can be totally destroyed, especially if the fire moves over it a couple of times, would you agree with that? JOHN LAYCOCK: Probably to the contrary and our forensic capacity with the Rural Fire Service, the Fire Brigade, our own forensic people now has increased to the extent that we can get a lot of information from the crime scene long after the fire has gone. STEPHEN MCDONELL: So, even if a big fire has moved through an area, there’s still a lot there at the crime scene? JOHN LAYCOCK: There’s a lot of signs, there’s a lot of expertise, and we tap into a lot of stuff still left behind and, as I keep saying, cold fires leave hot trails. STEPHEN MCDONELL: How sophisticated would you describe the bushfire arsonists as compared to other criminals? JOHN LAYCOCK: Not very sophisticated: they’re certainly not rocket scientists. Arson is an unusual crime because there’s no financial profit or gain. There’s normally no great planning goes into it: it’s unusual, to say the least. I think that the people involved are possibly not of brilliant intelligence. STEPHEN MCDONELL: Do you think that, across Australia, we’re doing enough to catch bushfire arsonists? JOHN LAYCOCK: Look we can always do more but here in NSW the community is up and running. The number of reports we get through crime stoppers, continually, for the police to act upon is encouraging to say the least. The number of a people apprehended at fire scenes, lighting fires where people got out of their cars and physically grabbed hold of them where they’re capable of doing it and just hand them over to the police just shows a no nonsense approach. The three organisations working together -with the Rural Fire Service and the Fire Brigade – it’s ongoing, I think we’re doing a lot, we can always do more but, as each year goes on, our expertise increases. STEPHEN MCDONELL: Do you ever worry about discussion in the media relating to bushfire arson: that it might encourage copycat behaviour? JOHN LAYCOCK: And certainly I think that does occur (but) to what extent…? but we have to weigh up the public interest – the need for the public to know what is happening around them. We’ve found, with the community support, with the open campaigns we’ve been running, they’ve been nothing short of outstanding. STEPHEN MCDONELL: If we could just look at why one of the cases that your team has dealt with, the Burgess case, can you just tell us, from the outset, what the idea was in terms of when you heard that he was hanging around this brigade in the Blue Mountains, what did you intend to do, especially in relation to that brigade? JOHN LAYCOCK: We first got some information not long after the fire season started in relation to that offender and I can only speak in general terms. Information is fine but we needed sufficient evidence to place him before a court, it was obvious to us that he was a very firm suspect. We then tapped into the support from the Rural Fire Service. We spoke to the executive and we virtually placed him under surveillance. They did report issues to us. We had our surveillance teams actually follow him from site to site. In the meantime, in the background, our forensic people were linking the crime scenes together and, of course, you’re aware he’s virtually working from one part of the state to the other – from the Central Coast down to Albury and then up to the Blue Mountains, so a fairly wide area – but we were able to link him into all those scenes. Our surveillance people tracked him into places where fire had been lit, just a painstaking good thorough investigation by Strike Force Tronto Police. STEPHEN MCDONELL: Now, for people who don’t know much about crime and the detection of crime, can you explain what this linking of the crime scenes was and how significant that was? JOHN LAYCOCK: It was quite significant because each offender has their own way of doing things or committing a crime – quite, sort of, peculiar to anybody else – so no arsonists would work alike, as a general statement. So the way in which the fires are lit at all locations were almost identical and that gives us a guide only to the fact that he was the person responsible. But it’s not just the crime scene, it’s sightings, information from other people in the community, people from the Rural Fire Service that felt things weren’t quite right, that was all fed into our system to give us enough to get out and charge him. STEPHEN MCDONELL: So, is this right, it was something like that there was a pattern to his behaviour, is that right, that he was doing similar sorts of things? JOHN LAYCOCK: There was a pattern to the way he was committing the offences, which showed very promising signs to us. STEPHEN MCDONELL: What could you say about Burgess’s behaviour that led you to actually apprehend him? JOHN LAYCOCK: It wasn’t so much his behaviour, I think it was the investigation results from behind the scenes. Evidence from witnesses, admissible evidence we could place before a court, the linkages between the forensics at the crime scenes and the fact that we were able to place him at those particular sites either before, after or during a particular fire breakout. That’s the cold hard evidence that we need. STEPHEN MCDONELL: I think you were saying something before about his behaviour being consistent and that, because he didn’t vary it so much, you were able to say right, bang, bang that he did all those, lit all those fires. Can you just tell us a bit about that? JOHN LAYCOCK: Yeah, look we have to prove each individual fire by itself. We just can’t say that we think it’s him because all the fires appear to have lit the same way. We need admissible evidence to place before a court to put him at the scene and, what happens at the crime scene, there’s only a small part of the jigsaw. So each investigation needs to be complete and be able to stand in its own right but the common factor was the linkage between the crime scenes. STEPHEN MCDONELL: Can you tell us a bit about how Cameron Burgess’s behaviour assisted police in catching him? JOHN LAYCOCK: I think: in the way that he exposed himself to other members of the fire fighting fraternity; that he was always there at the crime scene, he was in the locations at the time when the fires went up; on occasions he actually went to help fight the fire, it didn’t do him any favours when we started putting the brief together. STEPHEN MCDONELL: So you could see the same sorts of things coming up again and again? JOHN LAYCOCK: There was a pattern there but there was also admissible evidence that we could use and place before a court. STEPHEN MCDONELL: What was found out about Cameron Burgess’s mental state? JOHN LAYCOCK: According to the psychologist’s report that was tended to the court at the time, he had no mental illness or condition, probably can’t comment too much further than that. 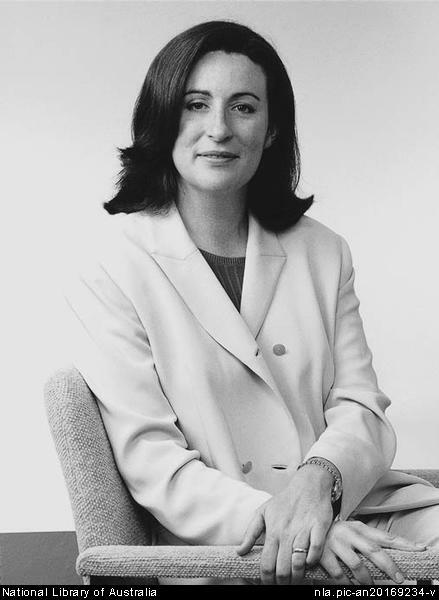 STEPHEN MCDONELL: Was there anything significant about this Burgess case? JOHN LAYCOCK: Look all police investigations are virtually quite different but the one thing that struck out with him was that he was operating in such vast distances away from each other: the Central Coast, Albury, Wagga and the Blue Mountains, entrenching himself in with the local fire fighting sort of type community and committing offences of that nature. It was quite unusual. Most arsonists tend to work fairly close in one area. STEPHEN MCDONELL: Why do you think he was moving from area to area? JOHN LAYCOCK: I don’t really know, I never could find that out. I think he had contacts in all those locations and he entrenched himself in with the local community. STEPHEN MCDONELL: Have you ever had a problem with other members of the volunteer brigades being arsonists? JOHN LAYCOCK: Look occasionally with all large organisations you might have one or two, even a handful of people who fall through the cracks and obviously Burgess is one of those but probably no more than any other group from the community. We’ve found offenders from all walks of life so I don’t see that as particularly unusual or significant. STEPHEN MCDONELL: How important do you think it is for the bushfire brigades to be vigilant in keeping an eye out for arsonists in their midst? JOHN LAYCOCK: Very important. We work so closely together, we find that most captains of all the outfits, all brigades, do report anything unusual to us through their own chain of command. Obviously, if they’ve got one of their own out lighting fires, it’s a big risk. It does them damage so they are very supportive of the police and, on quite a few occasions, they have been entrusted and vice versa with sensitive details and they don’t breach security so the probability of that sort of continuing can’t be excluded but it’s small on the scale. STEPHEN MCDONELL: Do you think that the checks are sufficient at the moment: the background checks of people wanting to join volunteer brigades? JOHN LAYCOCK: Look that’s a question I think for the Rural Fire Commissioner, Mr Koperberg. Whether that would solve all the problems I don’t know. I don’t profess to be an expert. It’s a question of how far you go and what expense and what are the risks involved if you don’t…? There’s the odd one that falls through the crack but whether what you’re going to do is enough to weed them out I don’t know. STEPHEN MCDONELL: If you could look into your crystal ball – 5, 10 years down the track – paint us a bit of a picture of the likelihood that you’ll be catching more bushfire arsonists. JOHN LAYCOCK: I think, from what we’ve developed now, is that if you’re going to go out and start lighting fires, the probability of being caught is fairly high. Our forensics, our working with the other agencies, our scientific, our expertise, our skill base, our investigators, the probability of being caught is very high. As the years progress that capacity’s only going to increase and will get better and better. The end result will be that, if you’re going to be an arsonist, you better pack a toothbrush because you’ll be going to gaol. ‘Arson may be behind the Mountains’ second major bushfire outbreak in a month that saw hundreds of schoolchildren and residents evacuated, and damaged seven homes. The blaze broke out shortly before 2pm on Monday, October 24 at Cliff Drive near Echo Point and forced the evacuation of 450 children from Katoomba High School and 25 residents from 12 nearby homes. Tourists were also warned to stay away from the area and fears were held at the height of the blaze for landmarks including Katoomba’s Scenic Skyway, Lilianfels and Echoes Hotel, with the Skyway’s terminal scorched by the flames. “During the blaze, seven homes sustained minor damage, and a garden shed was destroyed,” a police statement said. Local detectives and Strike Force Tronto officers together with Rural Fire Service investigators are looking into the cause of the fire, with initial inquiries suggesting the fire “may have been deliberately lit”, according to a police statement. Blue Mountains Crime Manager Inspector Mick Bostock told reporters yesterday (Tuesday) while the fire had “two points of origin”, investigators believed it was lit by the one arsonist. He could not say exactly how. Police were interviewing one witness, an overseas tourist living in Bondi, who reported a fire in the area, he said. Firefighters worked on Monday night to secure the fire edges and by Tuesday morning it had burned out 20 hectares of bushland and was no longer a threat to property. Fire and Rescue NSW sector commander for the incident, Inspector Kernin Lambert, said he was amazed no homes had been lost, with conditions creating “the perfect storm”. “On this occasion the timely response and some brilliant firefighting from Fire and Rescue NSW and the Rural Fire Service saved the day,” he told the Gazette. “We are told that fire has not burned through that area for 35 years and the high accumulation of bush . . . the angle of the slope, wind direction, the aspect, it was like the perfect storm in terms of potential for fire disaster. 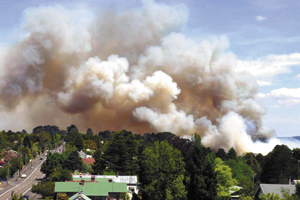 [‘Blue Mountains bushfire: police investigate arson’, Sydney Morning Herald, 20111025, ^http://www.smh.com.au/environment/weather/blue-mountains-bushfire-police-investigate-arson-20111025-1mgvj.html] . [Source: ‘Arson investigators probe Katoomba blaze’, ABC, 20111025, ^http://www.abc.net.au/news/2011-10-25/arson-investigators-probe-katoomba-blaze/3598740] . Detectives specialising in arson cases are heading to the Blue Mountains to investigate a bushfire that damaged seven homes at Katoomba yesterday. Police believe the blaze was deliberately lit near Cliff Drive or Katoomba Street about 2:00pm (AEDT). Officers would like to speak with anyone who saw any suspicious behaviour in the vicinity. This entry was posted on Friday, January 6th, 2012	and is filed under Blue Mountains (AU), Threats from Bushfire.